Doxly, the leading legal workflow management platform that provides deal teams with visibility and precision in an easy-to-use environment, continues to transform legal transaction management with the launch of Doxly for Closings. While law firms see the necessity in incorporating technology into their legal processes, attorney teams still struggle with integrating it into their daily workflow. Doxly’s focused closing offering enables attorneys to easily integrate technology into the painful closing process to help increase adoption. Doxly is committed to helping law firms implement technology solutions to increase realization rates by automating complete workflows that streamline closings. “One of the biggest barriers to tech-enabled law firms is addressing the adoption curve. Doxly for Closings provides an entry point for firms looking to improve their transaction processes and realize immediate ROI. The launch of this new product paves a pathway to expand into our full collaborative workspace,” said Natalie Fedie, VP of Customer Success of Doxly. Doxly for Closings accelerates the closing process with functionality targeted towards checklist management and signature collection and is a direct result of requests from their customers to help shorten the learning curve and increase adoption. Doxly’s customer success team works with firms to integrate existing checklists into the platform to standardize processes, while mapping to the workflow attorneys already use today. By having a common workspace, legal teams have real-time insight into each deal’s progress. 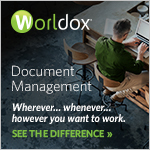 Included in this new product offering is Doxly’s patent-pending signature creation and collection process which dramatically decreases administrative time and their signature tracker that provides clear visibility into the signing process, helping to move deals to closing at a faster pace. Once a deal has closed, Doxly enables legal teams to easily create closing volumes for successive closings or for specific parties for the same deal. 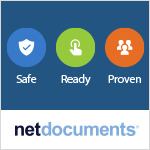 With Doxly’s closing book wizard, teams can pick as many or as few documents from their closing checklist as are needed for the closing volume. This allows them to tailor the closing volume for each party without having to modify the checklist. “We understand the pains and inefficiencies throughout the traditional closing process and have a solution for firms at any level of sophistication. We are dedicated to helping our customers grow and overcome the business challenges facing law firms in the industry today,” said Haley Alman, founder and CEO of Doxly.